Artie and Holly are 3 years old, they were surrendered by the owner because of a housing situation where they could not longer keep them. They have been together since puppies, and we are going to try our best to place them together. They are housebroken and has learned to use our doggie door without any accidents. They are very sweet, Holly is little timid until she gets to know you. 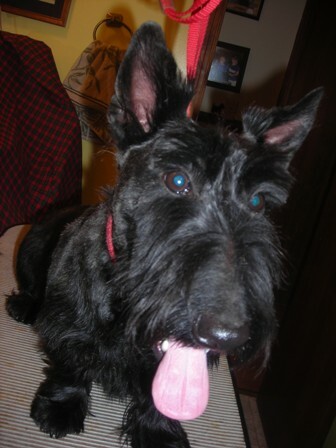 They are typical Scotties, and are somewhat territorial of other dogs, especially larger dogs, but are good with children over the age of 5. They do need a traditionally fenced yard. 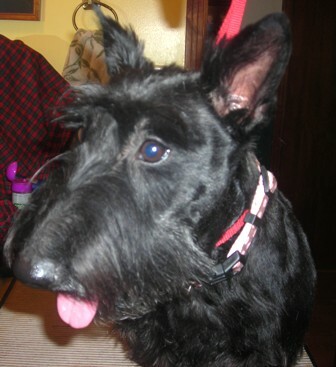 If you can provide this type home for these two Scotties, please fill out the online application and let us know you are interested in Artie and Holly.